The King County Metro In Motion program was designed to reduce drive-alone trips in King County communities by encouraging residents and employees to explore new travel options. Since 2010, Alta has planned, implemented, and evaluated eight successful In Motion campaigns in 14 communities, including Mercer Island; Duvall, Carnation and Redmond Ridge; Juanita; Shoreline; South Park; White Center; Squire Park; West Seattle; North Seattle; Swedish Hospital; and six multifamily properties in the neighborhoods of Bitter Lake and South Lake Union. Across all these campaigns, we reached more than 50,000 King County residents and reduced more than 45,000 drive-alone trips. Alta implemented an In Motion Community-Based TDM campaign in Mercer Island in fall of 2015. The city recently added two new alternative service programs, the Route 630 Community Shuttle and new pilot TripPool program. 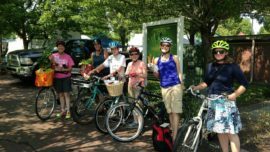 This In Motion program reached over 470 participants and educated them about new alternatives, as well as provided individualized information and encouragement around existing transportation options. Alta engaged participants throughout the 12-week program with custom e-mails, social media, biweekly prize drawings for recording changed trips and events. In 2015, Alta implemented the most rural In Motion program to date in the communities of Duvall, Carnation, and Redmond Ridge. Alta encouraged participants to join, pledge to drive alone less, and learn about upcoming alternative services as well as existing transportation options. Alta found great success in custom events for participants through a community Nature Walk that taught residents about how to use their local trail system to access shopping and restaurants by foot as well as a Map your Trip event at an active retirement community that educated seniors on how to utilize bus services near them. Alta completed an In Motion Community-Based TDM campaign in North Seattle and Shoreline along the new RapidRide E Line corridor. This campaign reached over 1,000 participants and achieved the program goal of a 10% participation rate over a 12-week period. Participants received customized transportation information, incentives, and encouragement to reduce their drive-alone trips. Alta crafted engaging weekly emails and social media communications, and managed a photo contest which received twenty-six entries and sixty-four votes, increasing the number of followers to the In Motion Facebook page by eighty-two “likes” in two weeks. 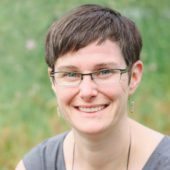 As part of this community-based TDM program, Alta researched best practices, developed a targeted program approach, implemented a 12-week campaign, and evaluated this pilot program focused on residents of multifamily properties. The pilot campaign worked with property managers at six unique buildings in the Seattle neighborhoods of Bitter Lake and South Lake Union to encourage residents to explore their transportation options and in turn, earn rewards. As a final product of this effort, Alta developed a playbook with recommendations for implementing similar multifamily campaigns in the future. 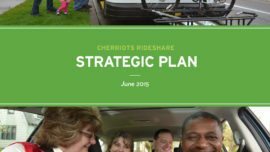 Learn more about the Multifamily Transportation Campaign Playbook here. This community-based TDM program exceeded client expectations by attracting 22% of participants in the target area to sign up for the program and pledge to drive alone less often. 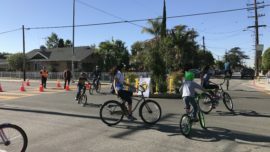 By the end of the program, 2,237 residents avoided 12,300 individual motorized trips, instead walking, bicycling, sharing rides, and taking transit over 172,000 miles. Participants reported a high level of satisfaction with the program and its positive impact on their lives. This program reached 3,500 households in Seattle’s Squire Park neighborhood and 1,400 employees of the Swedish/Cherry Hill Campus. Participants switched more than 7,500 drive-alone trips to other options, saving 117,000 vehicle miles and 60 tons of carbon dioxide emissions. Alta managed materials production, communications, fulfillment of incentives, and evaluation. This was a unique effort in two diverse communities that engaged 12.3% of the nearly 7,000 targeted households. The program partnered with a number of community organizations to get vital resources into the hands of residents, and specifically reached out to low-income and Low English Proficiency (LEP) populations. Alta managed program logistics, including materials production, communications, and program evaluation. 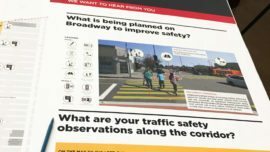 This program reached 4,000 households in the City of Kirkland, where trained outreach staff worked with local businesses and community groups to disseminate information designed to lower the barrier to multimodal trips. During the 16-week program, Juanita-area residents reduced driving alone by nearly 145,000 miles, saved more than 7,000 gallons of gas, and prevented 70 tons of carbon emissions from being released into the air. Alta coordinated program logistics and conducting the final program evaluation.